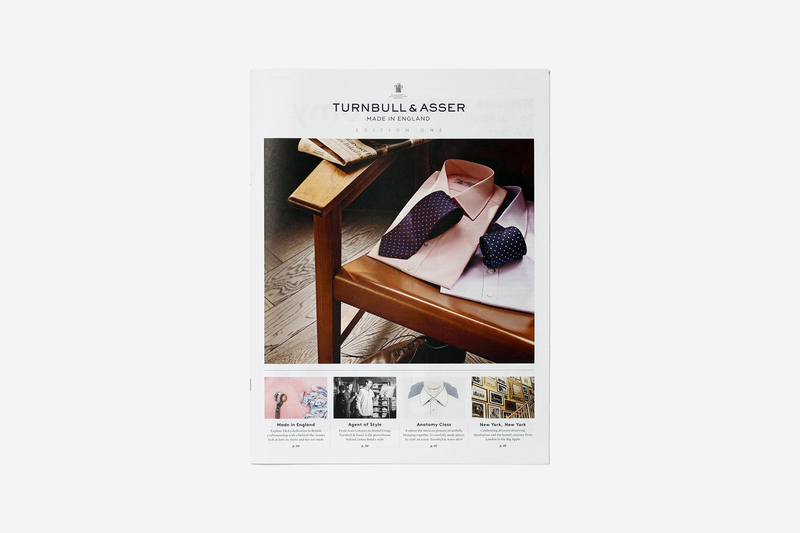 Show Media is proud to announce the publication of the first edition of the Turnbull & Asser newspaper. Show Media worked with the Jermyn Street shirtmaker on every aspect of the beautiful 24-page paper. This started with the concept of the publication and extended to its design, a still-life shoot of the brand’s classic products, unique editorial from leading journalists, and a suite of elegant illustrations. The newspaper is full of enlightening and fascinating stories that have shaped the brand. Stephen Doig visited Turnbull & Asser’s British factories to tell the story of how the brand is made in England; fashion historian Amber Butchart describes the history of neckwear, current owner James Fayed and former managing director Ken Williams talk about the shirtmaker’s long history with New York; Josh Sims breaks down the anatomy of a T&A shirt; Rob Ryan explains why Churchill and James Bond are fans; and Teo van den Broeke experiences the beauty of Turnbull’s bespoke and made-to-measure services. To bring the newspaper to life, Show Media worked with photographer Mark Sanders and stylist Nathalie Francis on a handsome still life shoot; and with illustrator Joe McKendry on a set of detailed and striking drawings. The newspaper will be distributed to Turnbull & Asser stores and to customers worldwide.